Home Loan’s Approved, Now What? There are a lot of metaphorical hurdles you need to clear and hoops through which must metaphorically jump during the home buying procedure. And perhaps the one that gives you the biggest mental and emotional boost after you successfully negotiate your way past it is the loan approval process. As is the case with so many things in life, money is the deciding factor when you want to purchase residential real estate. If you don’t have the money available for a down payment or are unable to borrow it from a secure lender, you are most likely going to have to wait and pinch your pennies for another day. So, when you receive notification that you are approved for your home loan, rejoice! … but only for a little while, because there is much more work to be done. Now the snowball really starts picking up speed on its way down the hill toward your new home, picking up all kinds of debris, in the form of unforeseen problems in the title or the insurance or the closing or any number of other issues. * Make sure to schedule your closing time between 8:30 a.m. and 4:30 p.m.
As the closing date for your new home gradually inches closer and closer, you will be presented with a variety of other tasks and paperwork that will demand a certain amount of your valuable time and energy. Remember, during this often stressful and potentially confusing time, that you do not and most likely should not have to tackle all of this stuff by yourself. Utilize all of the professional resources available to you, such as your Realtor, mortgage loan lender and title company representative. 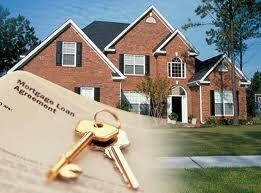 Your Realtor especially should be involved in most, if not all, of the tasks related to the purchase of your home.